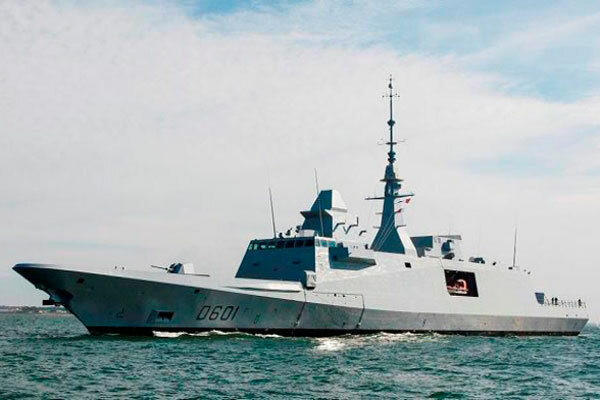 The FREMM frigate built for the Royal Moroccan Navy put to sea for the first time on 17 April. This key milestone marks the launch of sea trials, which will be conducted over the next few weeks off the Brittany coast. The ship will be delivered to the Royal Moroccan Navy at the end of this year, in accordance with the contract schedule. During this first period at sea, the crew made up of French Navy personnel, customer representatives and DCNS employees will focus primarily on the performance of the ship’s propulsion system and navigation system. The exceptional seakeeping qualities of the FREMM frigates have already been demonstrated by the first-of-class Aquitaine, delivered to the French Navy in November 2012. “This milestone is the culmination of a remarkable team effort by DCNS, our partners and suppliers, the trials crew and customer representatives,” said Anne Bianchi, Director of FREMM Frigate Programs at DCNS. “The FREMM frigates are designed and built by DCNS to meet the needs of many navies around the world, as demonstrated by this first export sale to Morocco. They are among the most technologically advanced and competitively priced vessels on the world market, and are inherently versatile to provide a response to all types of threats. They offer a range of innovative features and unparalleled levels of interoperability and operational readiness,” Bianchi added. The teams on board will work day and night to conduct a series of tests at a sustained pace. The first three days of the campaign, known as the ‘familiarization’ phase, will be used to test the vessel’s safety systems and equipment, including fire-fighting, flood control and emergency response systems and evacuation procedures as well as maneuverability and mooring performance. The second phase will focus on the propulsion system. The FREMM’s high-performance hybrid CODLOG (COmbined Diesel eLectric Or Gas) power package combines electric motors for low-speed silent-mode propulsion and a gas turbine for high-speed mechanical propulsion, with a maximum speed in excess of 27 knots. In addition, the DCNS teams will also test the ship’s navigation systems (log, position, heading) and its inertial platforms for precise positioning anywhere in the world. On completing these preliminary trials, the frigate will return to DCNS’s Lorient shipyard for several days of quayside work. A few weeks later, it will put to sea for a second campaign of trials focusing on the combat system.